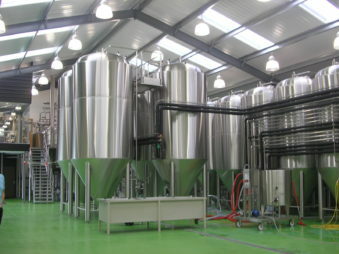 EasyBräu - Velo: we design, produce and install plants and equipment for beer production. EasyBräu - Velo supports enterpreneurs and brewers with our process advice and equipments keys-in-hand. TMCI Padovan acquired the brand Velo in 2014, totally dedicated the beer world. Velo has 25 years of experience in this sector. Thanks to its plants, it has seen growing some of the craft breweries more blazoned and famous in the world. Competence, reliability and flexibility are its drivers. Velo cooperates with small and medium breweries, offering a unique mix of management know-how and solidity of its turnkey plants. To bigger realities, Velo dedicates all its design, technical and constructive flexibility; custom plants for recipes and exclusive customers. 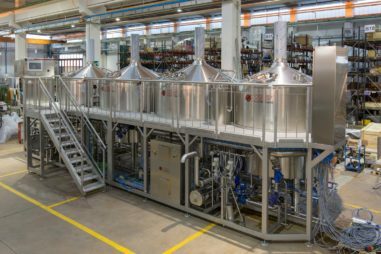 In 2018 TMCI Padovan acquired Impiantinox-EasyBräu, company established in 1997 by three partners after a long experience and cooperation with other companies in the sector. Impiantinox started its activity in the dairy-sector, by designing and manufacturing of stainless steel processing plants. Thanks to the realization of equipment for the most prestigious national brands, it became famous for the precision and accuracy in the executions, achieving results and orders abroad too. Since 2000 Impiantinox has followed the development of breweries and microbreweries in Italy and abroad. In 2007 it introduced the Easybräu brand, a brand synonymous of strict standards, innovative systems and top technology, reliability and user friendliness. The brand offers brewers the chance to brew a proudly personal and unique beer, tied to the climate, herbs, natural aroma of the region where it is made. EasyBräu - Velo, division born by the union of two companies, leader in craft beer sector. Decades of experience, flexibility, customization and attention are the key points that revolve around this division. This year Easybräu-Velo will be present at the Craft Brewing Conference & BrewExpo America in Denver, CO. The event will be held from 8 to 11 April 2019, find us at stand 18095! We look forward to seeing you at the new edition of ProFood in Chicago, Illinois, USA. The event will take place from 26 to 28 March, you can find us at Booth 446.